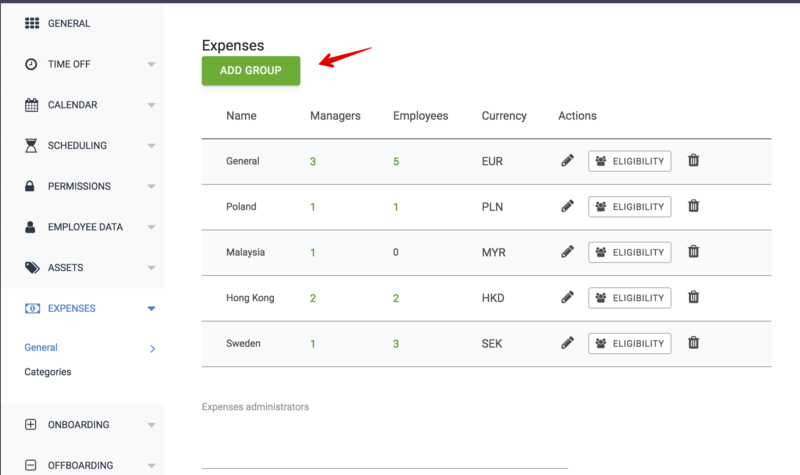 How to create an Expenses group? Give your group and name and set the default currency. When an employee adds an expense, the currency selection will default to this currency. In the cases where they travel abroad, they can change the currency when they add an expense.